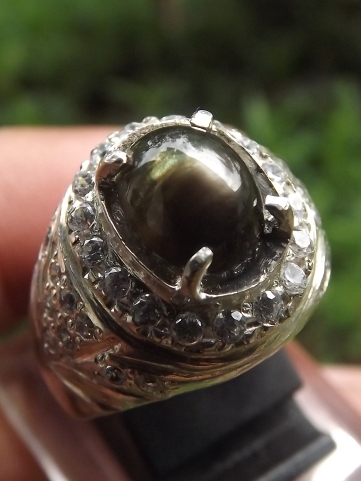 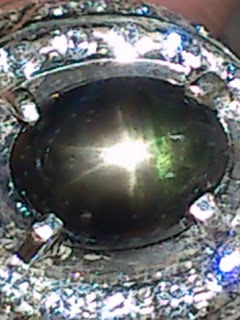 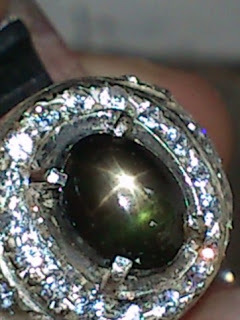 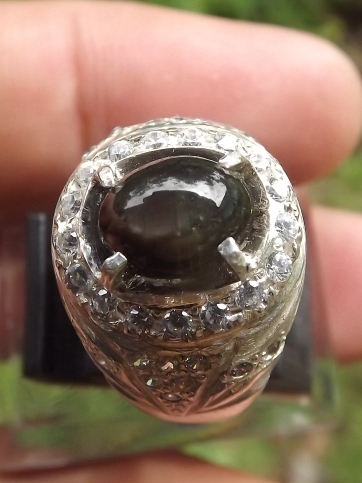 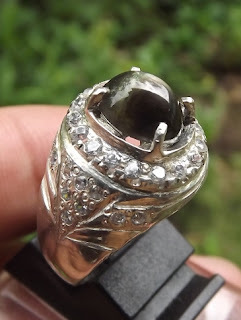 This is a very Beautiful Natural Black Star Sapphire set on a glittering 17,5mm silver ring. The Asterism is quiet strong and nice. The size of the gems is (est) 9mm x 6,5mm x 5mm. Get this beautiful Black Sapphire Star Now!